Friends, readers and fellow information distributors, we are proud to report our direct involvement in a new print magazine project from a lovable team of experts. This is a project created with love and respect for our industry. 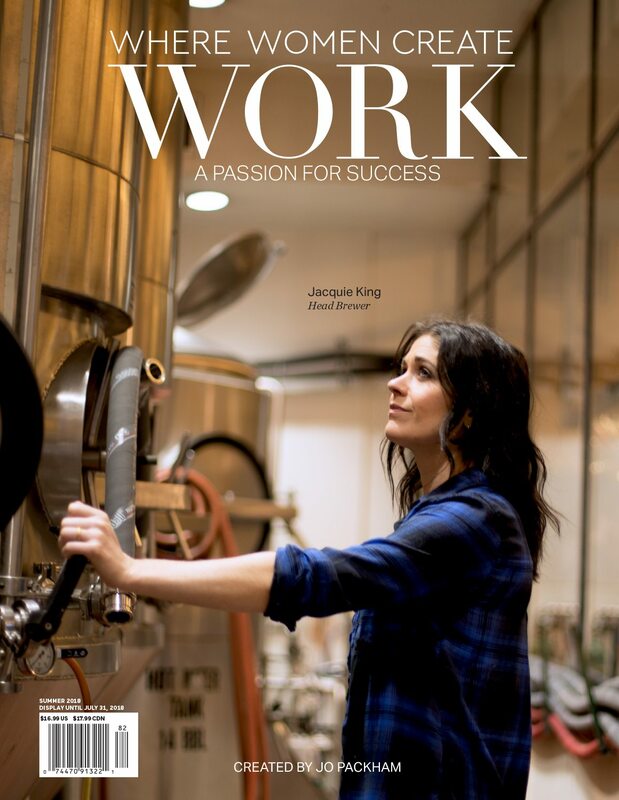 It is our hope that you will all subscribe to this free print magazine designed to promote all our businesses and mutual careers. The magazine will be published by the Magazine Innovation Center at the School of Journalism and New Media at The University of Mississippi. Magazine Media Quarterly, a magazine for magazine-media executives and the aspiring entrepreneurs who want to be part of magazine media. MMQ is dedicated to the premise that new kinds of information are needed to help publishers prosper in a new media landscape. It’s produced by the University of Mississippi’s Magazine Innovation Center and intended for managers, directors and executives in sales, marketing, content creation, web development, data management and more. 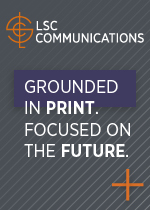 Today’s media leaders want unduplicated insights into the new competitive landscape. 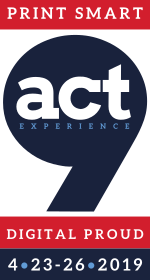 They want perspectives and actionable knowledge, all from the leading innovators in the business. They want how-to analyses, opinion, and case studies in success. And they want to understand the impact of the latest trends, and where the new challenges are coming from, even before they occur. 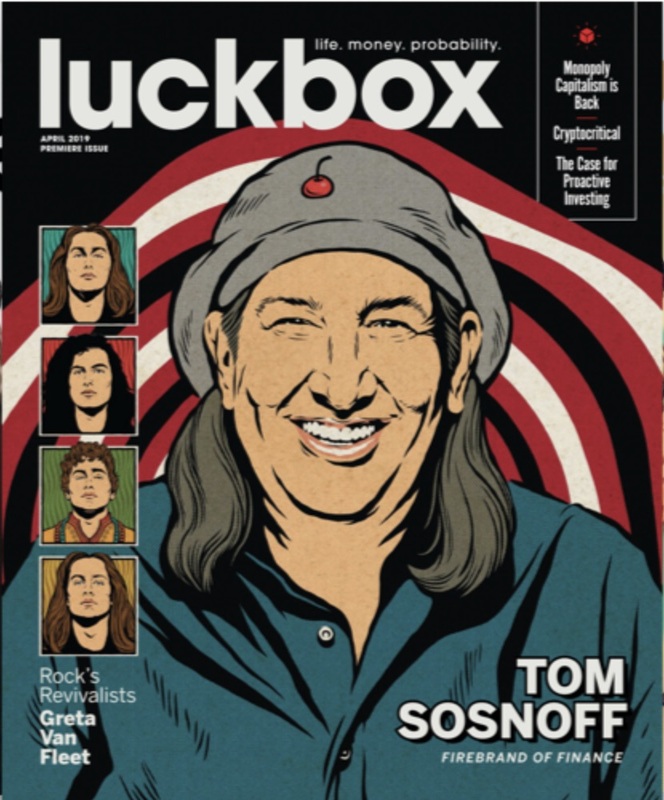 Magazine Media Quarterly is unique in the depth of its knowledge of the market and in its unparalleled access to the thought leaders at all companies, large and small, B2B and consumer. 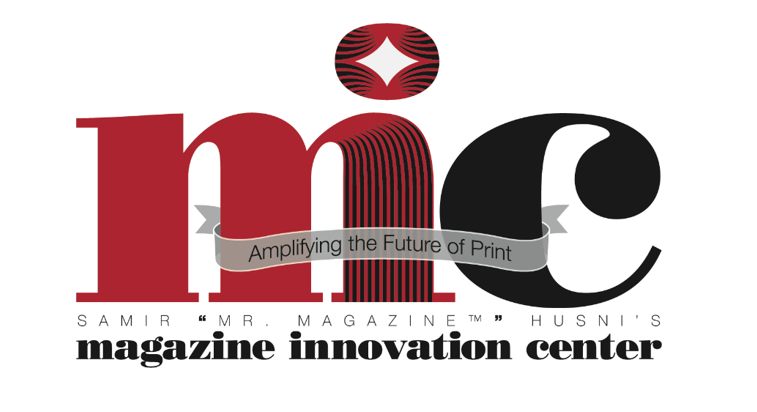 MMQ’s executive management team includes Mr. Magazine™, Dr. Samir Husni; Bosacks, whose “Heard on the Web” is the industry’s first and most influential enewsletter; Tony Silber, Forbes.com contributor and founder of the acclaimed M10 magazine; and Jim Elliott, one of the leading magazine-sales leaders of this era. MMQ will launch early in the second quarter of 2019 with an exclusive qualified-controlled circulation of 5,000. 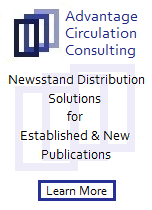 Readership will be balanced among the professional disciplines as well as all magazine-media sectors. Select industry suppliers will serve as donors, underwriters, and benefactors. Because of the limited size of the subscriber file, MMQ will not be able to accommodate all of the people we anticipate will want this ground-breaking magazine. So we’re offering readers of “Heard on the Web” an exclusive, limited-time opportunity to apply to be on the subscription list. Just fill out the form here, and we will keep you posted in the days ahead as we build the file. As 2018 slipped through the portals of time and high-fived 2019 as they passed each other in the hallway of new magazines, we acknowledge that 2018 was a fantastic year for magazines and feel certain that 2019 will see just as much success. It is with that in mind that we are honored to once again celebrate those new titles that were born this past year. 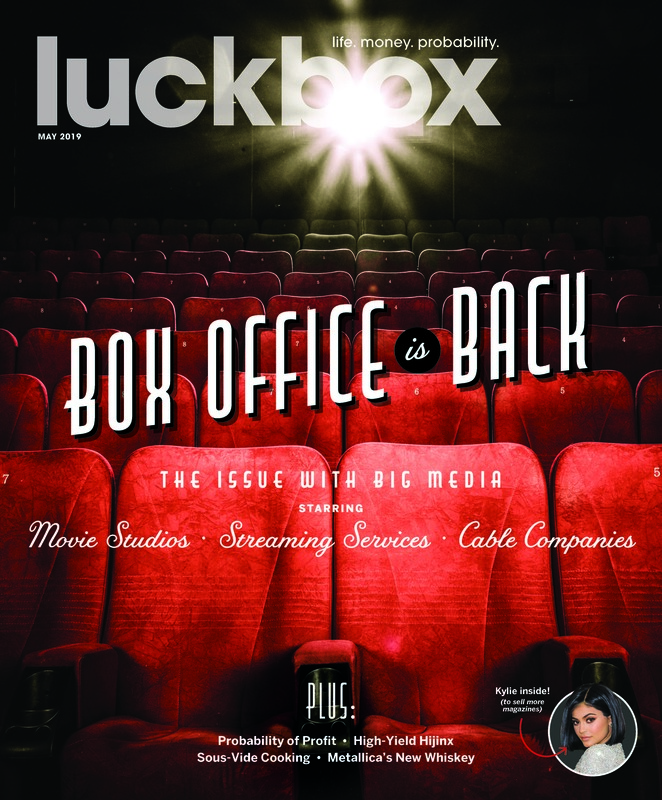 This time “The Launch of the Year” is being selected from all of the new magazines that were started from January 2018 through December 2018. To honor and celebrate those new magazines, Mr. Magazine™ and MPA: The Association of Magazine Media will come together to pay tribute to “The Launch of the Year” during the American Magazine Media Conference in New York City on February 5, 2019. There were 191 new magazine titles that arrived on the scene with the intent to publish on a regular frequency in 2018, and you can add to that another 600+ bookazines and specials that are not included in this selection. You can view all the new titles with frequency at the Mr. Magazine™ Launch Monitor here. We must have actual physical copies of them. Major industry leaders’ launching new print magazines certainly is something that must be recognized because it speaks of the power of the medium. These people aren’t in the business of wasting dollars on something that has no value. In the past there have been new offerings from publishing giants such as Hearst, Condé Nast, Meredith and the southern-born Hoffman Media. For companies as distinguished and successful as these to create and bring new titles into this digital world signifies the good health and power of print. And then there are the entrepreneurs, with their vision and determination to launch their magazine no matter the cost to their wallets and their emotions; they are no less amazing. Some of the best titles we’ve seen in a long time have been from relatively unknown publishers who are not without experience, just without the stolid names that audiences know so well. The criteria for selection is based on factors that include creativity and audience reaction first and foremost, and then industry trends and as always, those rogue wildcards out there that just won’t be denied and seem to make some of the best magazines around. Also, something has to grab our attention to be selected as “The Launch of the Year,” based on the comparative analysis. Are you interested in exploring captivating, compelling conversations? 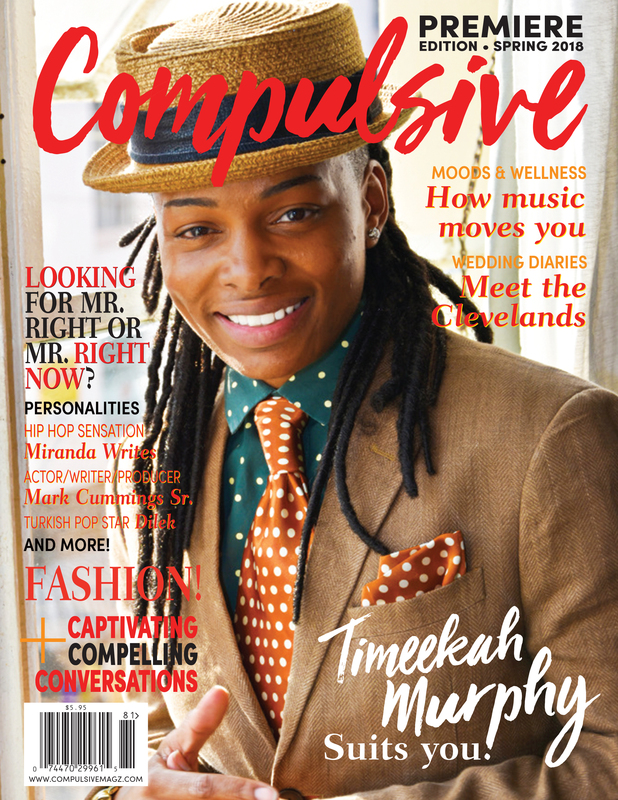 Then welcome to Compulsive Magazine. 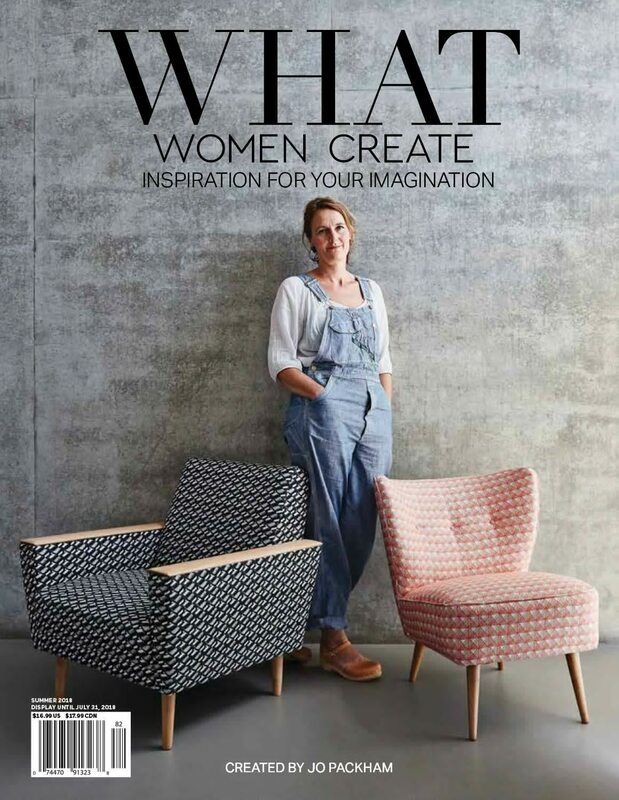 According to the title’s tagline, captivating and compelling is exactly how they create a comfortable space for their readers to enjoy the magazine. From beauty to health, inspirational articles to fashion and style, Compulsive is enthusiastic, passionate, and irresistible. And Mr. Magazine™ says welcome to the Top 13! 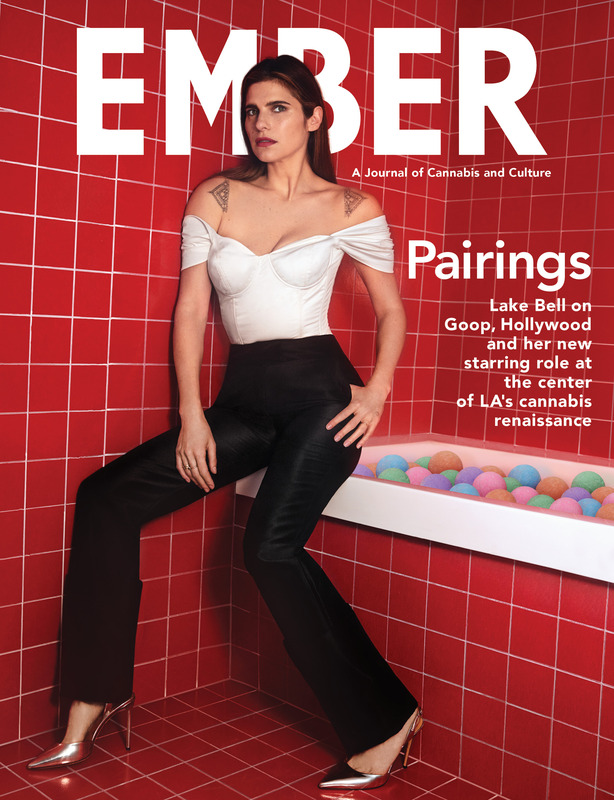 Born from a collaboration between the folks at Paper and a growing marijuana dispensary chain in Los Angeles called MedMen, Ember is one of the latest cannabis and cannabis culture magazines to hit newsstands. 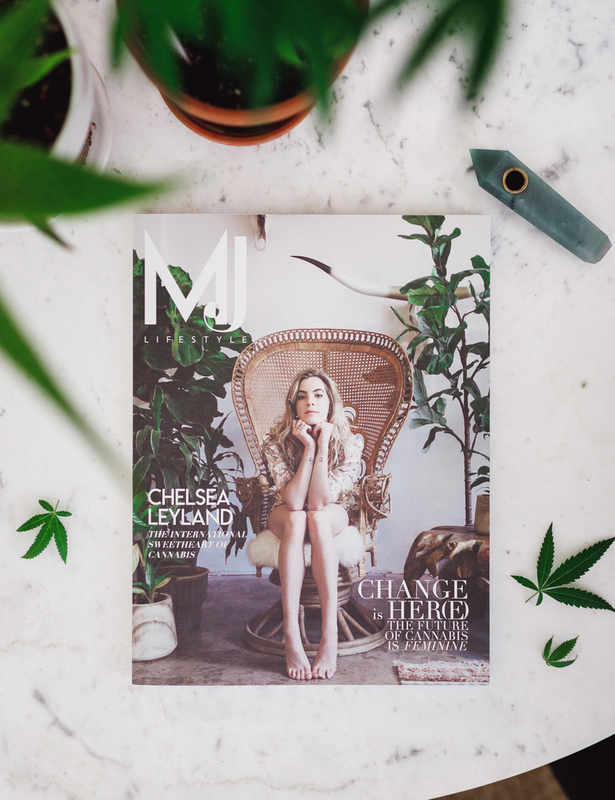 With the goal of destigmatizing and bringing marijuana into the everyday culture more and more, the magazine is a heady dose of all things cannabis, with ads that are as informative and compelling as the articles. Mr. Magazine™ thinks Ember burns brightly among the other weed-based titles and enjoyed the read “highly.” (Joking, of course). 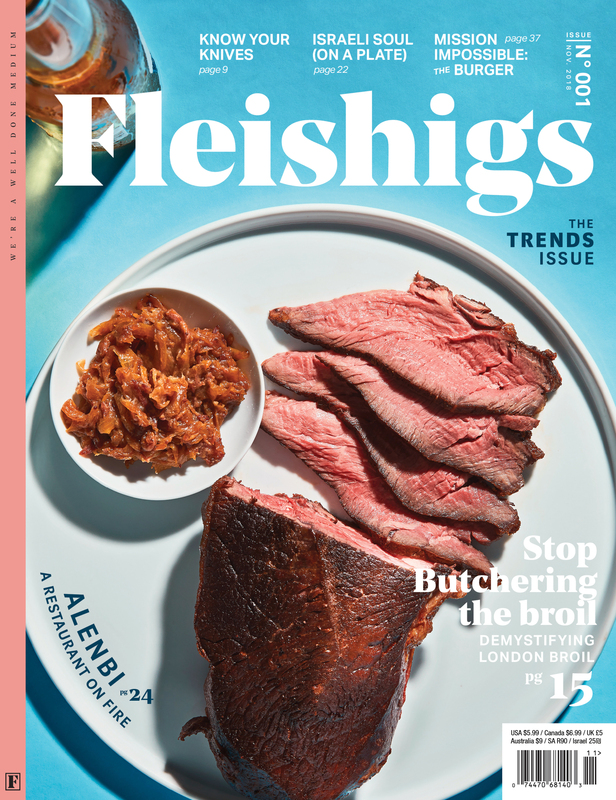 The word Fleishig means meat, pure and simple. From beef to poultry and the fat in between, kosher culinary culture involves keeping certain foods, such as meat, away from other certain foods, such as Milchigs, or dairy. Hence, a new food magazine all about the meat-centric point of view, without diluting the content away from the main vein: the meat. From the team behind Bitayavon and Joy of Kosher, this new kosher food magazine is brilliant. Recipes abound and the articles are as rich as the protein-filled subject matter. What a refreshing change of pace and an awesome way to explore the kosher lifestyle or enrich it! 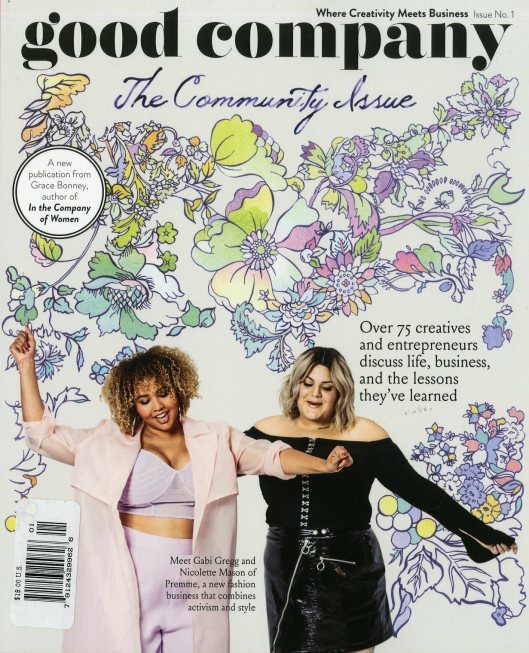 Inspired by the success of her latest book, “In the Company of Women” (now a New York Times Best Seller), Grace Bonney’s new print magazine, Good Company, provides motivation, inspiration, practical advice, and a vital sense of connection and community for women and non-binary creatives at every stage of their lives. Each issue of Good Company focuses on one overarching theme, including Change, Fear, Community, Mentors, and much more. It’s a magazine, but more than that, it’s a conversation and one that beckons you (the reader) to jump right into. And if you do – there’s no doubt you’ll be in Good Company! 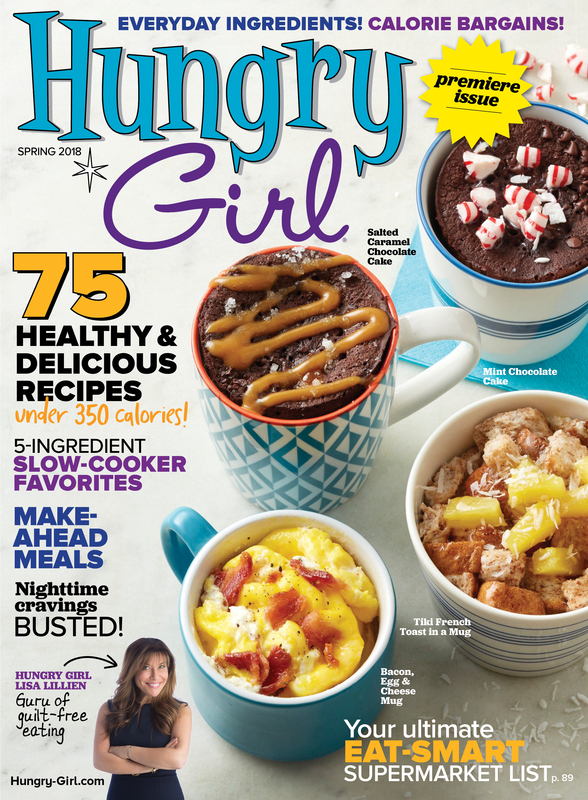 Lisa Lillien is the Hungry Girl and she is this new magazine published through a partnership with the Meredith Corp. Lisa is the New York Times bestselling author and the creator of the Hungry Girl brand. She is the founder of http://www.hungry-girl.com, the free daily email service that entertains and informs hungry people everywhere. 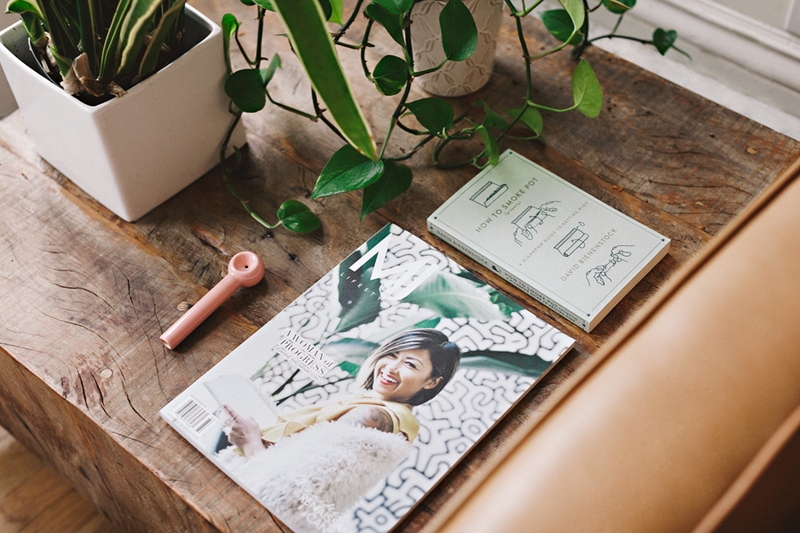 Complementing her brand nicely is this great new print magazine that adds another dimension to her digital platforms. It’s exciting and intriguing and inspires all of us to realize that just because we’re “hungry” doesn’t mean we can’t make smart food choices and determine creative ways to eat the foods that we love and still fit into our pants! 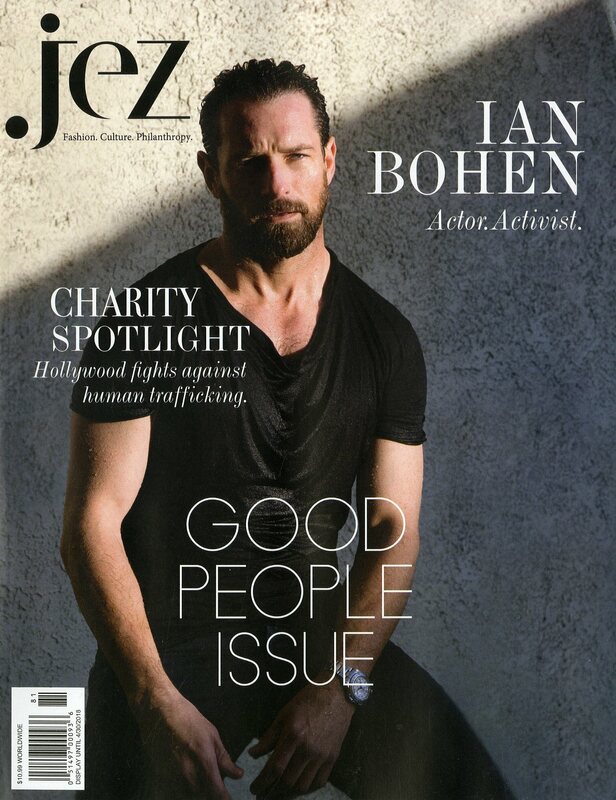 Jez is a new quarterly magazine, which highlights what’s new and best in fashion, beauty, culture and entertainment, but also has a special focus on philanthropy. In fact, the magazine’s tagline is fashion, culture, philanthropy. Founder and editor in chief, Ezequiel De La Rosa, has been a designer, store owner, makeup artist, photographer (which he still is, photographing many of the images between the covers of the magazine) and now a magazine creator. The magazine is artistic, beautiful, and has that strong entrepreneurial spirit that makes it stand out above many of its peers. Welcome to the finals, Jez! An antidote for boredom, indeed. 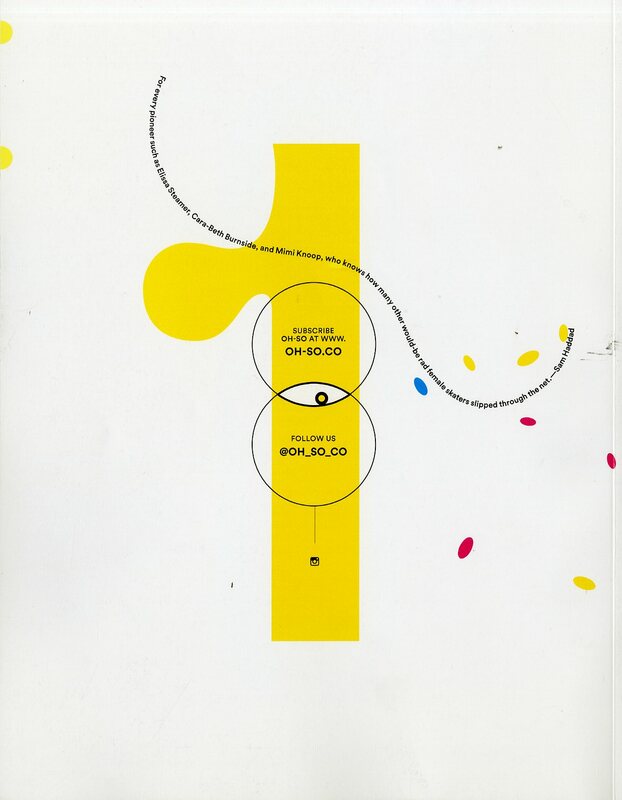 This new title’s tagline is certainly one that fits as the oversized, brilliantly-done magazine was born out of the desire to tell real and uncontaminated stories filtered through one of the keywords of the 21st century: DESIGN, To hold this new publication in one’s hands is to understand the meaning of the phrase: tactile experience. It’s an unbelievably exciting project that was born out of the passion of people who wanted to go deeper into the story, deeper into the design, and hit that “jugular” where the blood flows passionately between the brain and heart. And it definitely affects the main arterial flow of emotions. 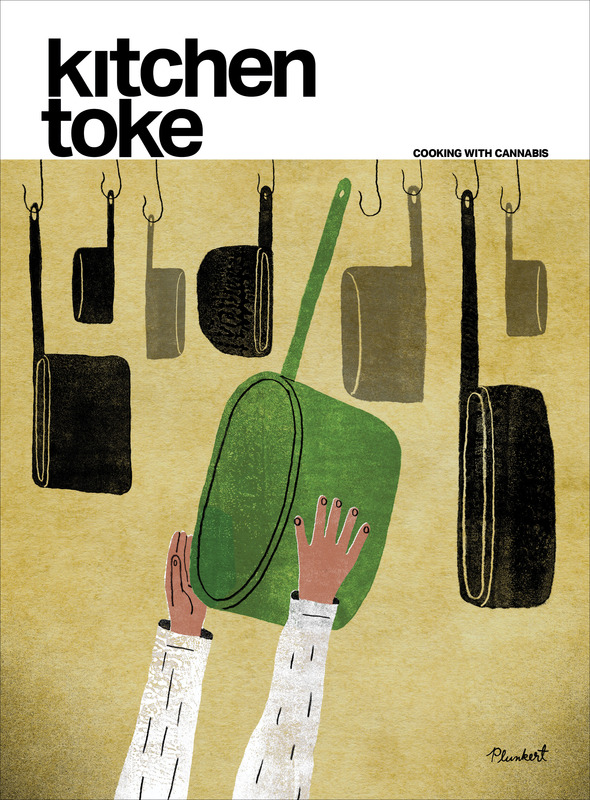 Kitchen Toke is the first magazine about cooking with cannabis. It focuses on exploring and understanding cannabis for recreational and medicinal use, covering cooking and entertaining seasonally with cannabis along with the chefs and individuals who are advancing marijuana in food and health. It’s a fantastic magazine whose founder and president, Joline Rivera, said has recipes and stories that help people to understand all of the misinformation that’s out there about the plant, causing unnecessary and misplaced fear for many people when it comes to using it in food or at all. An amazing offering from the cannabis world that seems to be exploding! 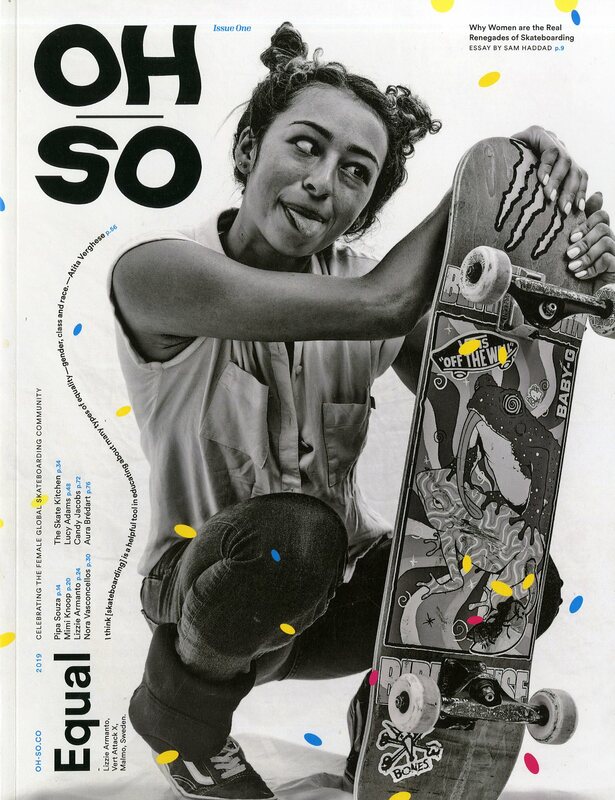 A European title that now lives in the USA too, this big, bold magazine aims to merge the century-long traditions of its predecessor with a modern approach. L’Officiel, the 96-year-old French luxury fashion and lifestyle magazine owned by the Jalou family offers fashion, beauty, music, film, literature, culture, lifestyle, wellness, politics and more with an emphasis on telling stories that matter. And its American counterpart is glorious and marks a new chapter for L’Officiel. Welcome to America! 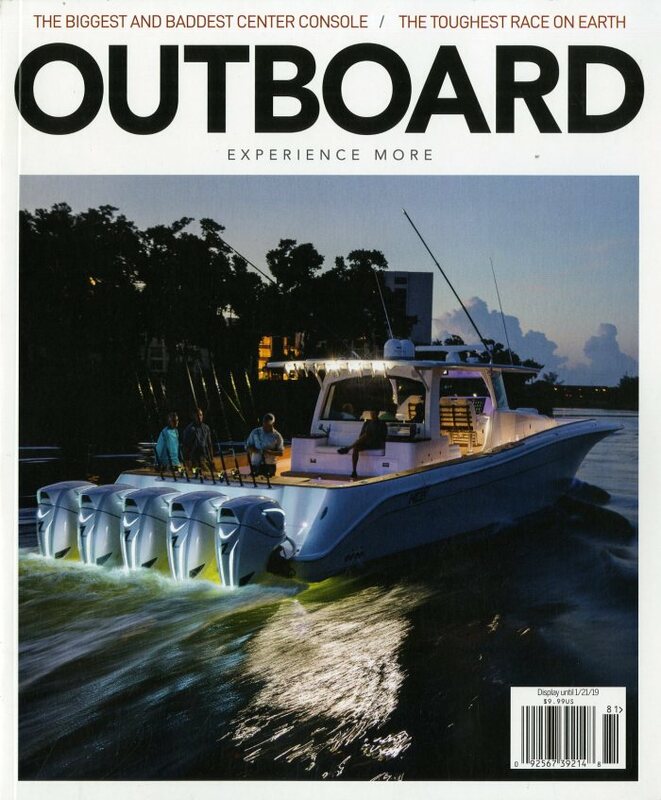 A new magazine dedicated to outboards, this title offers the immediate rush of a speedboat. It’s sleek, shiny and as addictive as the adrenaline that flows through one’s body as you skim the surface of some smooth waters at the clipped speed of sound! 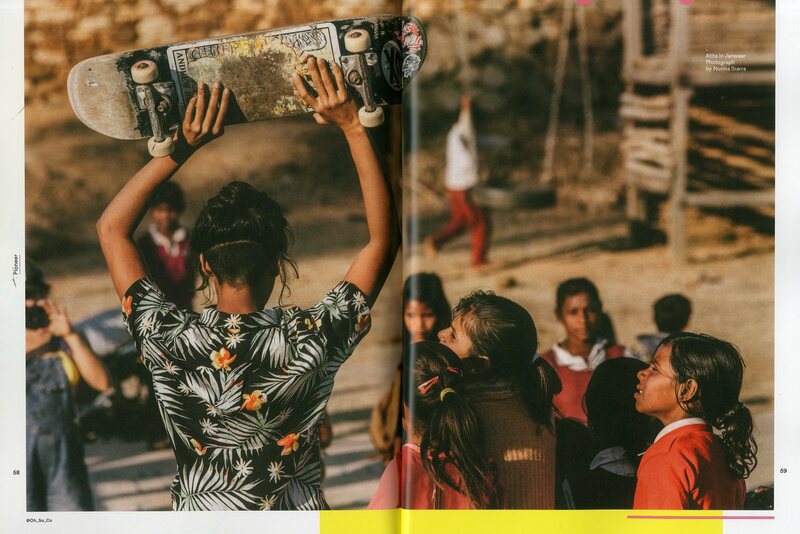 The photos are bold and splashed across print pages that feel like the salty silk of the ocean beneath your fingers. Outboard is a new title that Mr. Magazine™ can’t wait to see more of! Retro Fan magazine, published by TwoMorrows Publishing, is an ultimate handbook for all things retro and fun. From tattoos in bubble gum packs to your favorite Saturday morning cartoons, this magazine takes you back to the past with an exuberance that is reminiscent of childhood. 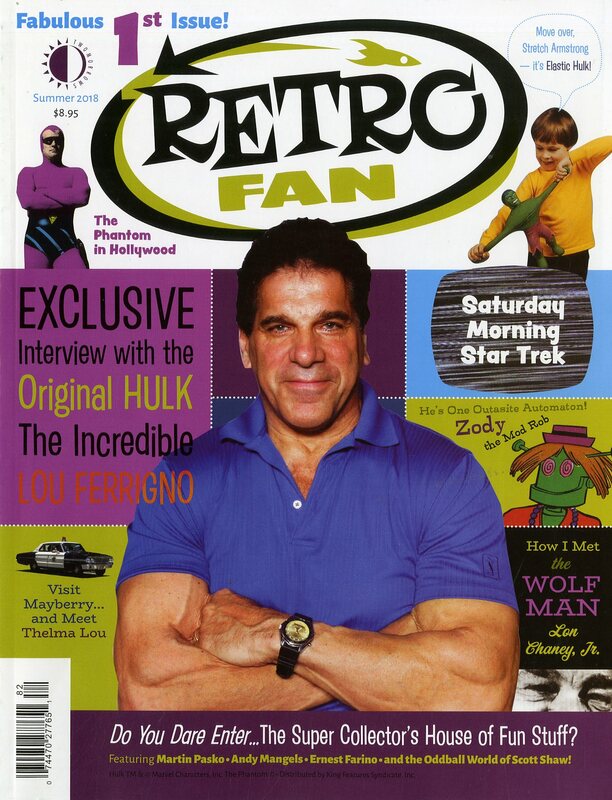 It’s filled with things that still play an important part in many of our lives: The Andy Griffith Show, Star Trek (how many of us grew up on Captain Kirk and Spock), articles, such as one with Lou Ferrigno (TV’s Hulk), and fun sitcom quotes, along with much, much more. Mr. Magazine™ was so excited to discover this title that he had to include in our 2018 Baker’s Dozen! 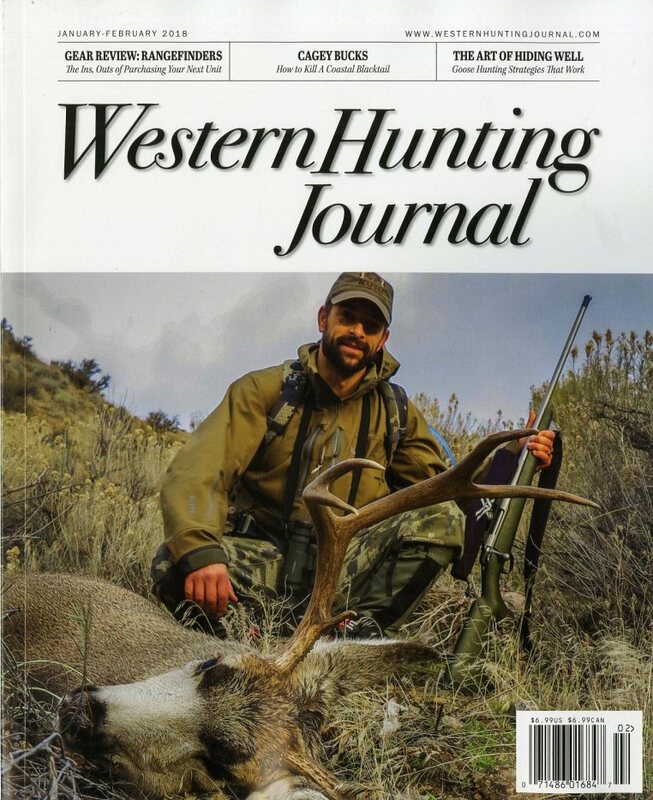 A magazine produced by a team who are self-proclaimed passionate hunters dedicated to publishing the best information for hunters in the West with in-depth gear reviews, world-class hunts, expert shooting advice, industry news, and hunting information that is relevant to hunters who chase big game, waterfowl and upland gamebirds. It features excellent photography, great writing and smart design. And Mr. Magazine™ for one says welcome to this passionate and bold hunting experience! 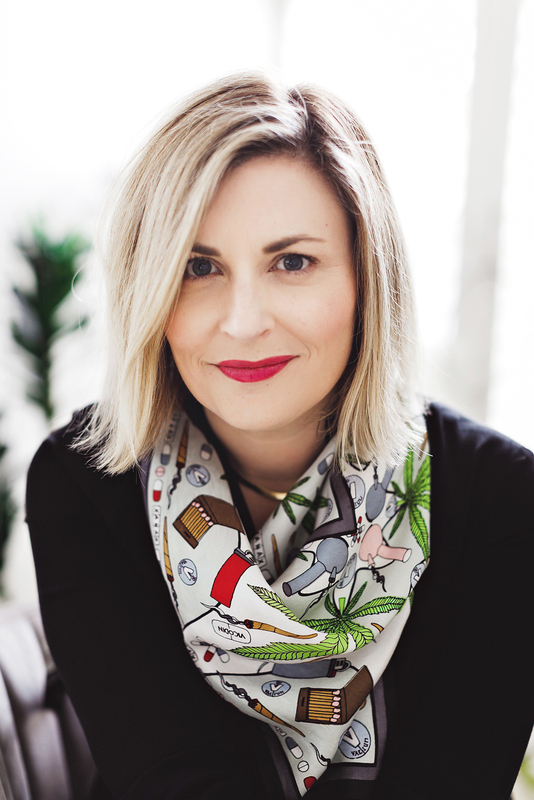 Jo Packham believes we all have a story to tell and she also believes it is her job to give a venue to those ideas; hence, the four titles that she created and formerly published (three of them anyway) with Stampington & Company by her side. But no longer is she affiliated with the giant crafting publisher. Today, she is following through with her own vision, through her partnership with Disticor, and has decided there is more to tell than just “where,” we also need to know “what.” And for the beauty, content, and magnificent design of these magazines, Mr. Magazine™ has included all four of the titles (counted as one entry) into this Baker’s Dozen of fantastic new publications. 2018 was a great year for Jo Packham! Welcome to the fold! 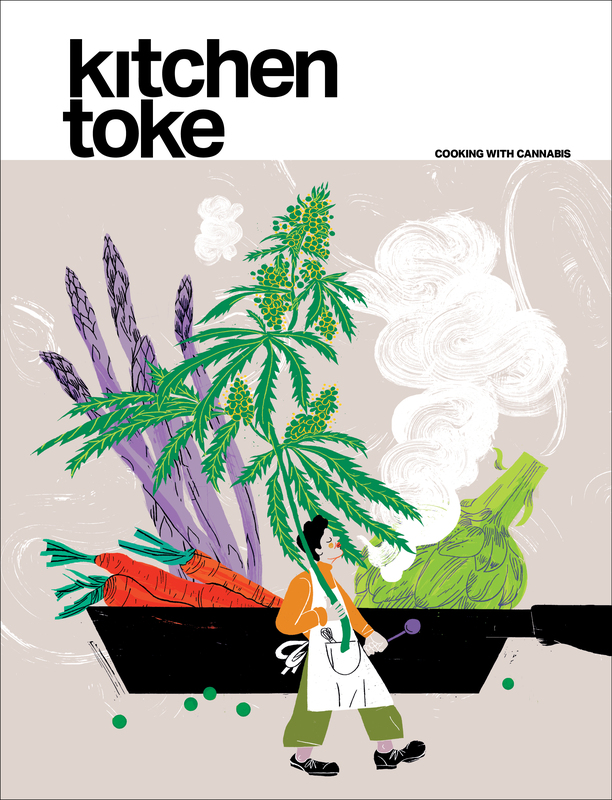 Kitchen Toke is the first magazine about cooking with cannabis. It focuses on exploring and understanding cannabis for recreational and medicinal use, covering cooking and entertaining seasonally with cannabis along with the chefs and individuals who are advancing marijuana in food and health. Founder and President Joline Rivera said the magazine has recipes and stories that help people to understand all of the misinformation that’s out there about the plant, causing unnecessary and misplaced fear for many people when it comes to using it in food or at all. I spoke with Jo recently and we talked about the brand, and the plant that is being legalized in many states as well as many countries around the world. Jo said the cannabis industry is moving forward and making progress when it comes to legalizing and promoting the medicinal benefits of the drug, and in also recognizing that the recreational use of marijuana is becoming more and more mainstream, replacing alcohol for some people as their drug of choice. It’s a controversial topic that has become a hotbed for both politics and ethical and moral conversations surrounding its usage and accessibility. 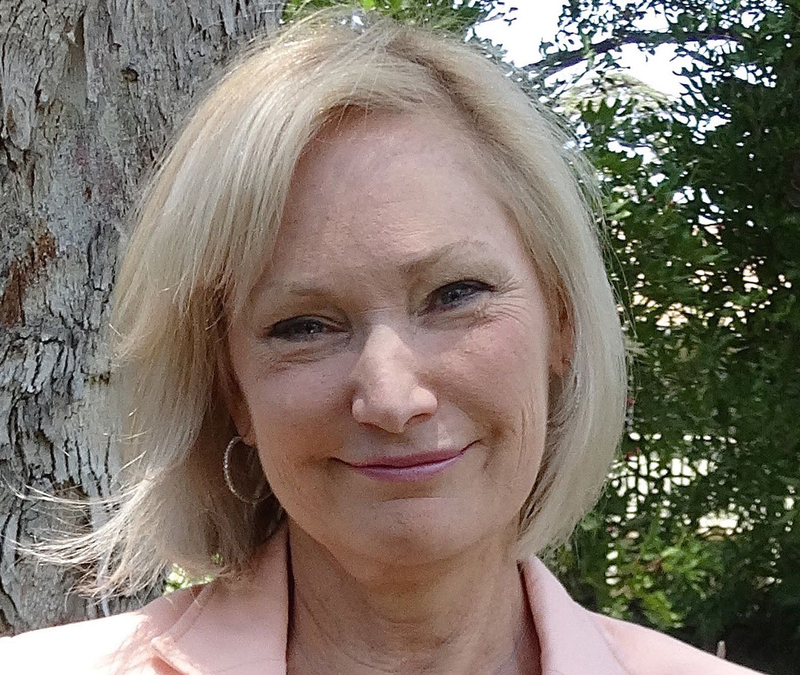 Joline Rivera is a firm believer in the medicinal and healthful usages of marijuana. From devastating illnesses such as cancer, to the health benefits of edibles for day-to-day living, Jo practices what she preaches by using cannabis herself. 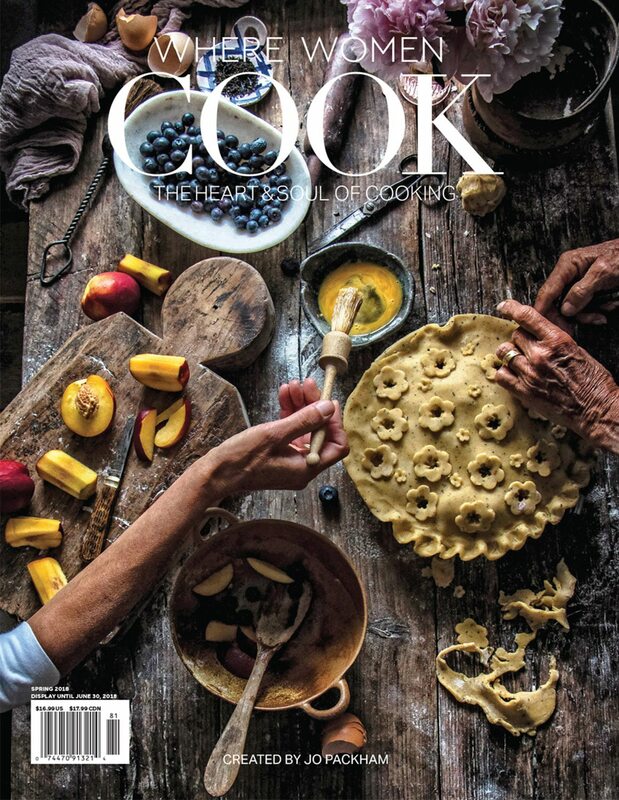 As a creative designer for many years, Jo has designed cookbooks for Meredith Publishing and contributed to various magazines, such as Sweet Paul and Uncrate, so Kitchen Toke, a quarterly, is a very design-driven magazine. So, I hope that you enjoy this Mr. Magazine™ interview with Joline Rivera, founder and president of Kitchen Toke, as we learn more about a plant that could be the answer to many health-problem questions that have existed for decades. On the genesis of Kitchen Toke: I started paying attention to the cannabis industry in 2011 when they were talking about legalizing Colorado. And right around that time one of my designers’ father became ill with cancer and we tried some cannabis chocolates on him. And for the first time in years, he’s been battling the disease since about 2011 to 2015 before he tried these chocolates, and we got to watch them work; we watched him eat them and we watched the effect that they had within about 30 minutes. He started to feel less pain; he started to eat; he was able to enjoy his grandkids. Shortly after that, he passed away in 2016 and it affected all of us who I worked with. And when he passed away, it was clearly on my mind. I was watching a Vice show; have you heard of the rapper, Action Bronson? I was watching one of his shows and he was getting high, smoking a joint while he was cooking. And I called my editor and said he’s getting high and he’s cooking food. She said why doesn’t he just get high while he’s eating his food and I said exactly! (Laughs again) Then we had the idea of coming up with a magazine to teach people how to step away from smoking, it’s not healthy, but also being able to medicate yourself in a helpful way. On whether launching and creating the magazine was easy and a walk in a rose garden for her: (Laughs) I’ll be honest with you, it was a lot easier for me than it was for my content director, because they were dipping their toes in an industry full of misinformation and had to work really hard and turned a lot of money to find the correct information, to talk to the right people. We had writers spread out all over the country to contribute to our magazine and we pride ourselves on creating content that is sourced and fact-based, and credited to people who know what they’re talking about, scientists and people who have been here for a long time and have been working in the cannabis space for a while. 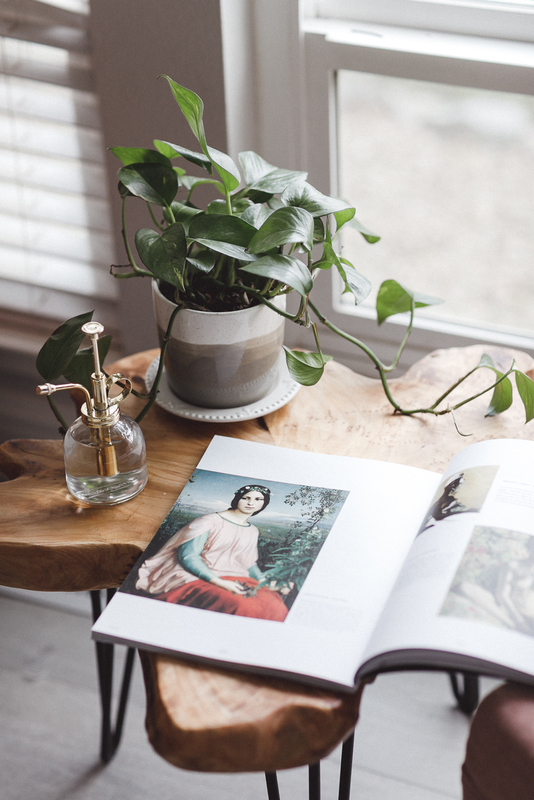 On why she chose print in this day and age: People will often hear me say that I call my magazine a very expensive business card. I believe in the power of tangibility. When I talk to people, getting them to look at my Instagram page or my website in a world that’s overwhelmed by digital media; I just think that it’s a lot easier for me to communicate who we are and what we can do, and what we’re capable of with our brand, if you can hold it in your hand. So, I believe in the power of tangibility. On how she came up with the name for the magazine: My content director, Laura Yee, came up with the name. She’s a writer, of course, and she’s really great with words. We started talking about the word “toque,” obviously, I don’t know if people wear those anymore. To my knowledge, and all of the photo shoots that we do with chefs, they rarely wear a toque in the kitchen anymore, but the chef hat and the idea of “taking a toke” off of a joint and then also the definition of the word also means a bit of advice, so it was a play on words. On the biggest challenge she’s had to face: The biggest challenge is getting people to know we’re here and getting people to pick up the magazine and to really look at what we’re doing. 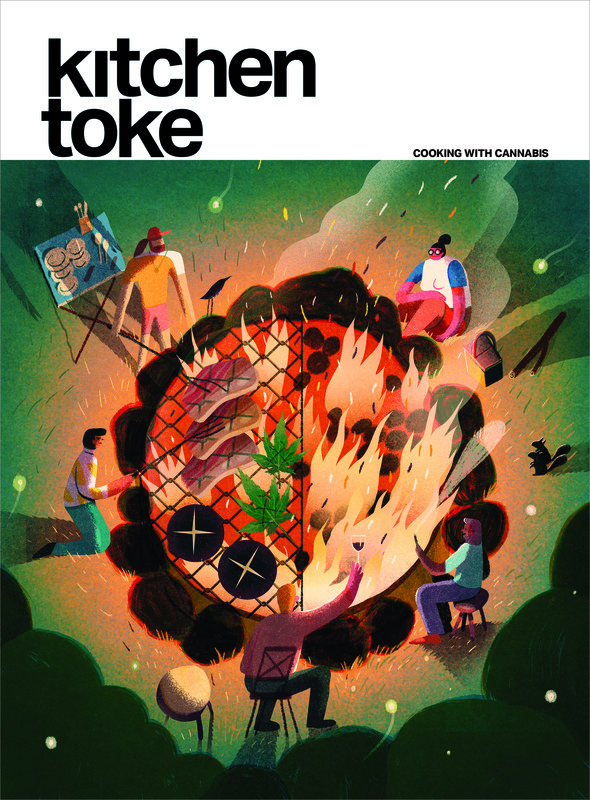 Yes, we’re talking about cooking with cannabis, and yes, we’re showing people how, but we’re also talking about the world of cannabis as a whole and how it affects this magazine, this idea, and this industry. We’re talking about the legalities as it moves through the United States and the world actually, and who’s doing what and medicinal stories. I think there are a lot of stories. If you ask someone, everyone has a cannabis story. Everyone. They just didn’t used to talk about it. And now we are. On whether Kitchen Toke has a test kitchen: No, we don’t. We just have various places in this country where we have recipe-testers and they work out of their own kitchens. Right before we go into production, we have all of our recipe-testers run it by a professional recipe-tester. On what she hopes to accomplish with Kitchen Toke within a year: I think that 2019 is going to be a big growth year. I think we’ve come leaps and bounds already from 2017. The awareness, the acceptance and the idea of cannabis being more mainstream – I just think we’ll be in a very different position than we are today. We’re going to have larger advertisers, you’ll see that in the magazine. We’re going to have people like – well, any product that has to do with your home and your kitchen, ads that are in a mainstream magazine, they’ll start coming into Kitchen Toke and they’ll start working with us. We’ll have partners with video to tell stories. I think that you’ll see more of that. I believe it will just start to be a normal thing and the more that it goes mainstream, the less of a bigger deal it will be. On anything she’d like to add: I think the one reason to pay attention to Kitchen Toke and what we’re doing is that when you think about the cannabis landscape, we are what I call the most friendly cannabis magazine that’s around the world. Our magazine is sold in Barnes & Noble, Walmart, Whole Foods, Kroger, Lucky’s Market, Amazon brick and mortar in the United States. In Canada, we’re in Walmart, Chapters and Indigo, Nesters, and soon we’ll be in Shoppers Drug Mart, a return of 50 stores. And this winter we’ll be in Spain, the U.K., New Zealand, Australia and the Netherlands. And I think recently the United Kingdom just went legal medicinally. On what she thinks is the biggest misconception people have about her: It’s the same thing when people ask me am I a user, because I don’t look like one, whatever they perceive that “look” to be. I think I would surprise them by saying yes, I am a user. I would be doing the industry a disservice by saying oh no, I don’t use that. (Laughs) I am a user and I believe the misconception is that people think that anyone who uses cannabis is not functioning or not in a high-functioning position. If you think about corporate America, how well accepted is it to be able to be a cannabis user and still have your job? On what someone would find her doing if they showed up unexpectedly one evening at her home: First, I’m not a drinker, I’d probably be sitting at the kitchen table with my laptop, talking creative with my significant other who’s also part of our Kitchen Toke team…I have a creative button that never seems to turn off, tidying up emails for the next day, always thinking ahead, and scrolling Instagram to make sure I keep up with new things and new followers. I’ve made a lot of Kitchen Toke friends on Instagram. On what she would have tattooed upon her brain that would be there forever and no one could ever forget about her: That I was creative. That I was always looking for the opportunity to do something beyond creative. 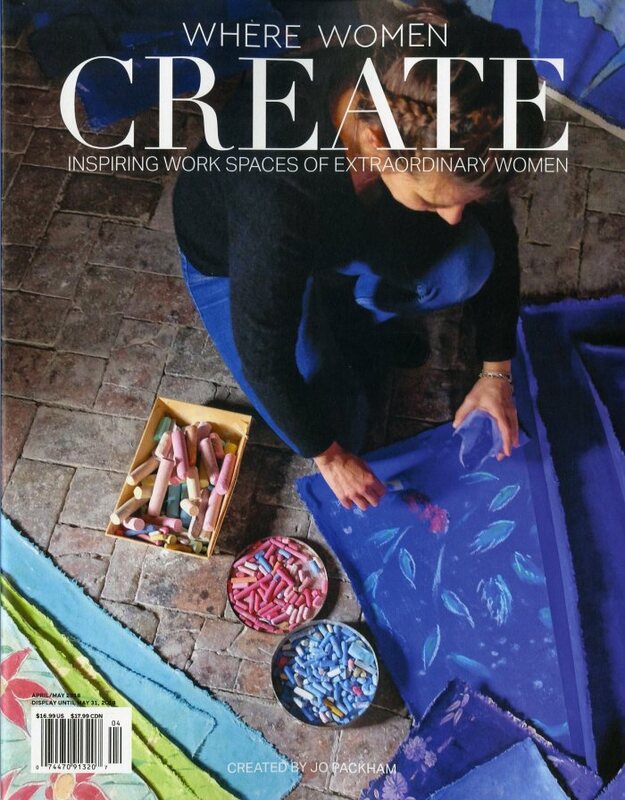 I’ve always said that I can make a pretty magazine anytime, but if I can make a magazine that’s pretty and can also help people…I would like to look at myself in the mirror at the end of the day and think that I did something better than just create something beautiful. On what keeps her up at night: I think about how I can get more people to know about Kitchen Toke. In a world where the laws are such that we cannot advertise, we can’t have a Facebook account, they closed down our social media accounts on Instagram here and there. If you say the wrong hashtag – you just have to be really careful. In a world that doesn’t let you really advertise a cannabis product, I think the biggest challenge and the most creative people are going to come out on top. Right now, it’s going to be really interesting to see how people can advertise their product. And now the lightly edited transcript of the Mr. Magazine™ interview with Joline Rivera, founder and president, Kitchen Toke magazine. Samir Husni: You’re entering your second year with Kitchen Toke, can you tell me a little bit about the genesis of the magazine? The whole cannabis magazine feel has mushroomed (no pun intended) in the last few years, but no one took your niche, cooking with cannabis. The others are more aimed at consumers. Joline Rivera: I started paying attention to the cannabis industry in 2011 when they were talking about legalizing Colorado. And right around that time one of my designers’ father became ill with cancer and we tried some cannabis chocolates on him. And for the first time in years, he’s been battling the disease since about 2011 to 2015 before he tried these chocolates, and we got to watch them work; we watched him eat them and we watched the effect that they had within about 30 minutes. He started to feel less pain; he started to eat; he was able to enjoy his grandkids. He hadn’t been eating at all because his lymph nodes were swelling up and literally blocking his airways. And he had been in a lot of pain. So, I got to see firsthand the positive effects of cannabis and what it can do for someone who medically might need that. And who didn’t have access to it. Shortly after that, he passed away in 2016 and it affected all of us who I worked with. So, I had been doing magazines for 20 years, cooking magazines, cookbooks; I’d worked for the Food Network and McDonald’s Corp., so taking this ingredient and applying it to something that I was already familiar with, producing food products and being in the food industry, was simple for myself, rather than for someone who hadn’t been doing it, I guess. And when he passed away, it was clearly on my mind. I was watching a Vice show; have you heard of the rapper, Action Bronson? Then we had the idea of coming up with a magazine to teach people how to step away from smoking, it’s not healthy, but also being able to medicate yourself in a helpful way. So, we decided to look into the legalities of launching a magazine that teaches people how to cook with cannabis for health and wellness. And that started in early 2016 and we launched in November 2017. Samir Husni: Why did you decide on the format? 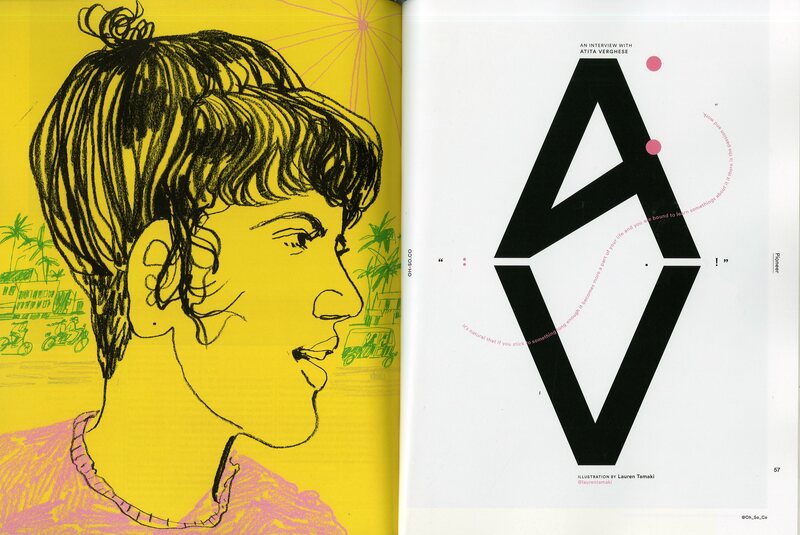 An upscale, expensive, elegant print magazine? Even from the very first issue, the magazine called the attention of anybody who observes or looks after magazines or media in general. Why did you opt for the more upscale look, feel and price, rather than just a more mass, less elegant magazine? I wanted to create a magazine that was cannabis-friendly, approachable, something that someone could learn from. And the cannabis magazines that were out were directed at the cannabis space already. 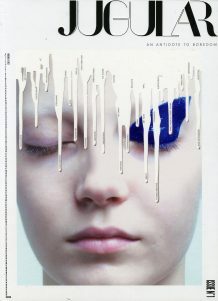 I wanted to direct a magazine to people who were more curious about it, but might be intimidated by it. I also know that food magazines; if you go look at the shelves in the food space, every magazine has a food image on the cover. And while I don’t think cannabis magazines necessarily were striving to look beautiful, I don’t think that food magazines were striving to take risks, so I tried to flip that upside down for us and do exactly that. 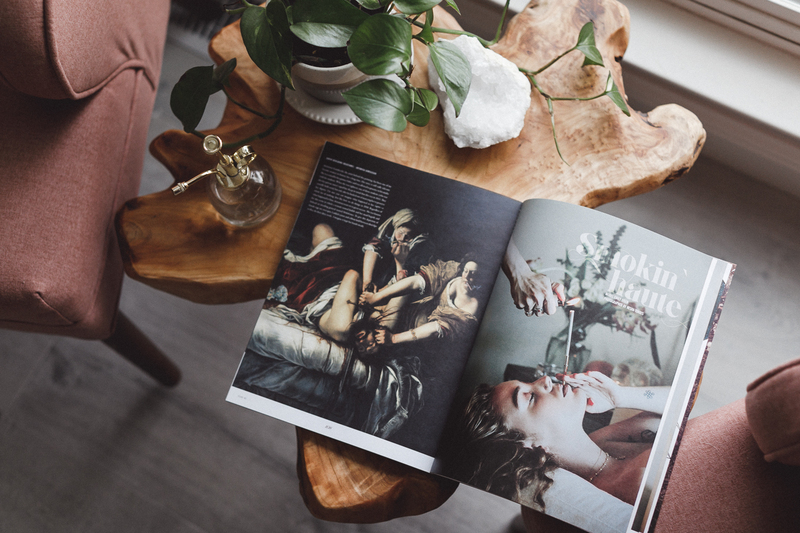 Samir Husni: As the founder of the magazine and an art director/creative director, was your journey to create Kitchen Toke a walk in a rose garden? You brought your knowledge of food, cooking and design to the magazine, was it simply easy for you? Joline Rivera: (Laughs) I’ll be honest with you, it was a lot easier for me than it was for my content director, because they were dipping their toes in an industry full of misinformation and had to work really hard and turned a lot of money to find the correct information, to talk to the right people. We had writers spread out all over the country to contribute to our magazine and we pride ourselves on creating content that is sourced and fact-based, and credited to people who know what they’re talking about, scientists and people who have been here for a long time and have been working in the cannabis space for a while. We talk to growers and scientists, lab testers and we work with a lot of chefs, James Beard nominated and award-winning chefs, so cannabis is another ingredient, although there is a lot of information that is to be learned about the profiles of cannabis and how it can be used in food. So, it takes a lot of work to find those people, and we spend most of our time doing that. And that’s the hard part. For me to create a pretty magazine, that’s something that was a lot easier for me than it was for my editorial staff, I will say that. Samir Husni: While you have an online presence and the website, why did you choose print for the magazine in this day and age? Joline Rivera: People will often hear me say that I call my magazine a very expensive business card. I believe in the power of tangibility. When I talk to people, getting them to look at my Instagram page or my website in a world that’s overwhelmed by digital media; I just think that it’s a lot easier for me to communicate who we are and what we can do, and what we’re capable of with our brand, if you can hold it in your hand. So, I believe in the power of tangibility. Will I always have a print magazine? Maybe, maybe not. We’re working on some other legs of our company now. We have the digital aspect; we’re working on our YouTube channel and we have some other things coming up that I’m not at liberty to discuss at the moment, but this is just one leg of our company. Kitchen Toke is a brand, it has a magazine, but it will also have other things. Samir Husni: How did you come up with the name? Joline Rivera: My content director, Laura Yee, came up with the name. She’s a writer, of course, and she’s really great with words. We started talking about the word “toque,” obviously, I don’t know if people wear those anymore. To my knowledge, and all of the photo shoots that we do with chefs, they rarely wear a toque in the kitchen anymore, but the chef hat and the idea of “taking a toke” off of a joint and then also the definition of the word also means a bit of advice, so it was a play on words. Samir Husni: When my friend, Jeremy Leslie asked you to define Kitchen Toke magazine in three words, you told him cooking with cannabis. How simple of a tagline that really identifies the USP of the magazine. Joline Rivera: Exactly. Cooking with cannabis; cannabis food and health, yes that’s it. 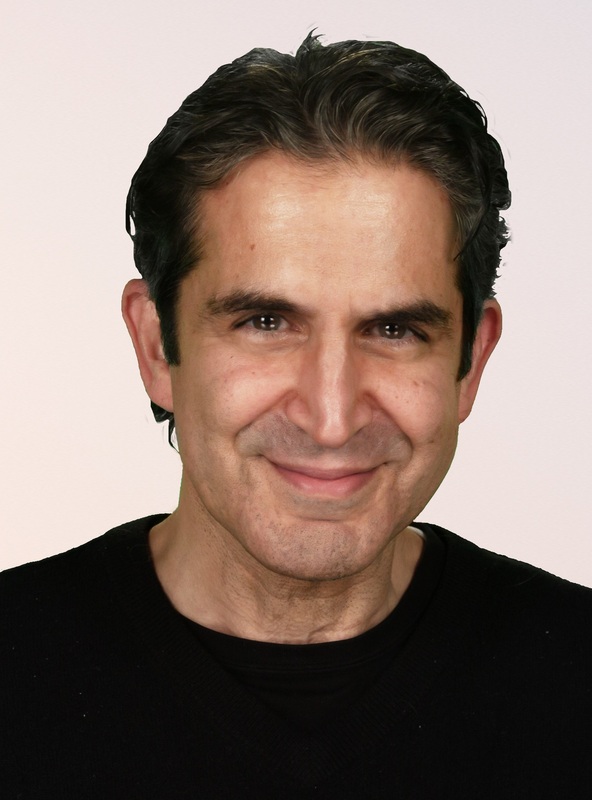 Samir Husni: What has been the biggest stumbling block and challenge and how did you overcome it? Joline Rivera: The biggest challenge is getting people to know we’re here and getting people to pick up the magazine and to really look at what we’re doing. Yes, we’re talking about cooking with cannabis, and yes, we’re showing people how, but we’re also talking about the world of cannabis as a whole and how it affects this magazine, this idea, and this industry. We’re talking about the legalities as it moves through the United States and the world actually, and who’s doing what and medicinal stories. I think there are a lot of stories. If you ask someone, everyone has a cannabis story. Everyone. They just didn’t used to talk about it. And now we are. I think our biggest obstacle is really just getting people to look at us and not be afraid of what cannabis can do for them, especially the people who aren’t already cannabis users. 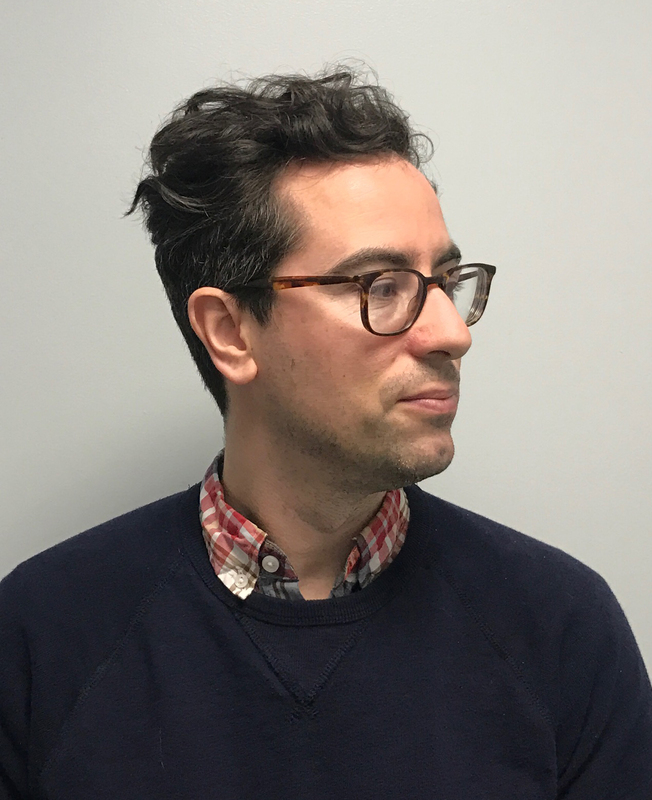 Samir Husni: Do you have a test kitchen? Joline Rivera: No, we don’t. We just have various places in this country where we have recipe-testers and they work out of their own kitchens. Right before we go into production, we have all of our recipe-testers run it by a professional recipe-tester. Samir Husni: If you and I are chatting a year from now, what would you hope to tell me that you had accomplished in 2019 with Kitchen Toke? Joline Rivera: I think that 2019 is going to be a big growth year. I think we’ve come leaps and bounds already from 2017. The awareness, the acceptance and the idea of cannabis being more mainstream – I just think we’ll be in a very different position than we are today. We’re going to have larger advertisers, you’ll see that in the magazine. We’re going to have people like – well, any product that has to do with your home and your kitchen, ads that are in a mainstream magazine, they’ll start coming into Kitchen Toke and they’ll start working with us. We’ll have partners with video to tell stories. I think that you’ll see more of that. I believe it will just start to be a normal thing and the more that it goes mainstream, the less of a bigger deal it will be. 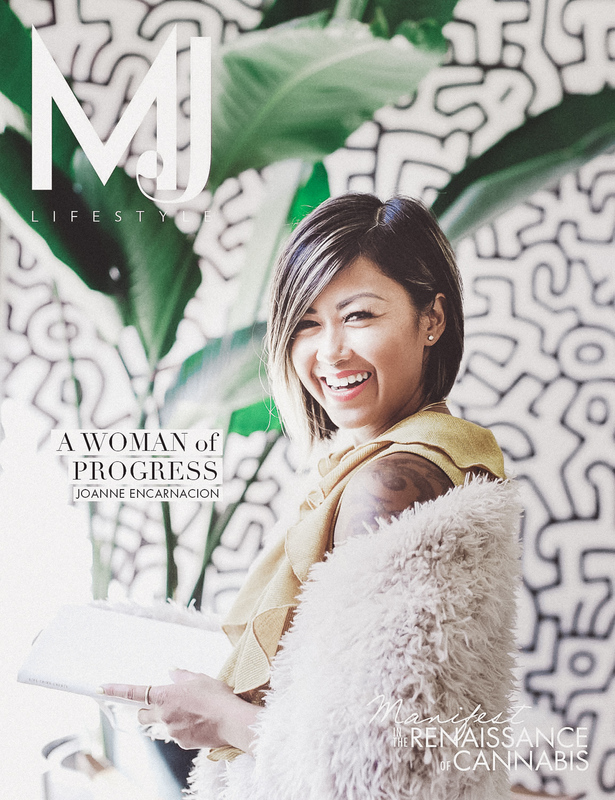 Joline Rivera: I think the one reason to pay attention to Kitchen Toke and what we’re doing is that when you think about the cannabis landscape, we are what I call the most friendly cannabis magazine that’s around the world. Our magazine is sold in Barnes & Noble, Walmart, Whole Foods, Kroger, Lucky’s Market, Amazon brick and mortar in the United States. In Canada, we’re in Walmart, Chapters and Indigo, Nesters, and soon we’ll be in Shoppers Drug Mart, a return of 50 stores. And this winter we’ll be in Spain, the U.K., New Zealand, Australia and the Netherlands. And I think recently the United Kingdom just went legal medicinally. When you think about Kitchen Toke, you think about something that can really teach you what’s happening in the industry, that’s getting away from all of that misinformation. The idea that we’ve been lied to for so long about such an amazing plant. 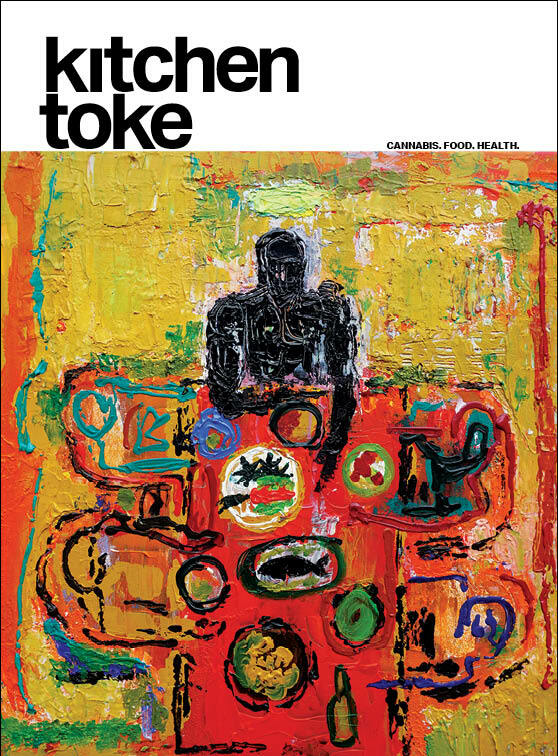 Kitchen Toke is the most friendly cannabis magazine around the world. Joline Rivera: It’s the same thing when people ask me am I a user, because I don’t look like one, whatever they perceive that “look” to be. I think I would surprise them by saying yes, I am a user. I would be doing the industry a disservice by saying oh no, I don’t use that. (Laughs) I am a user and I believe the misconception is that people think that anyone who uses cannabis is not functioning or not in a high-functioning position. If you think about corporate America, how well accepted is it to be able to be a cannabis user and still have your job? When I think about chatting with you in a year or two years from now, I believe moms are going to move away from wine and get into cannabis. There are a lot of wine moms, so to speak; they’re going to realize that there is a weight loss benefit and a healthful benefit to use cannabis to destress and decompress, rather than drinking wine every night. I can imagine people getting up and getting into their cupboards and taking an edible as a vitamin or in place of their vitamin every day. 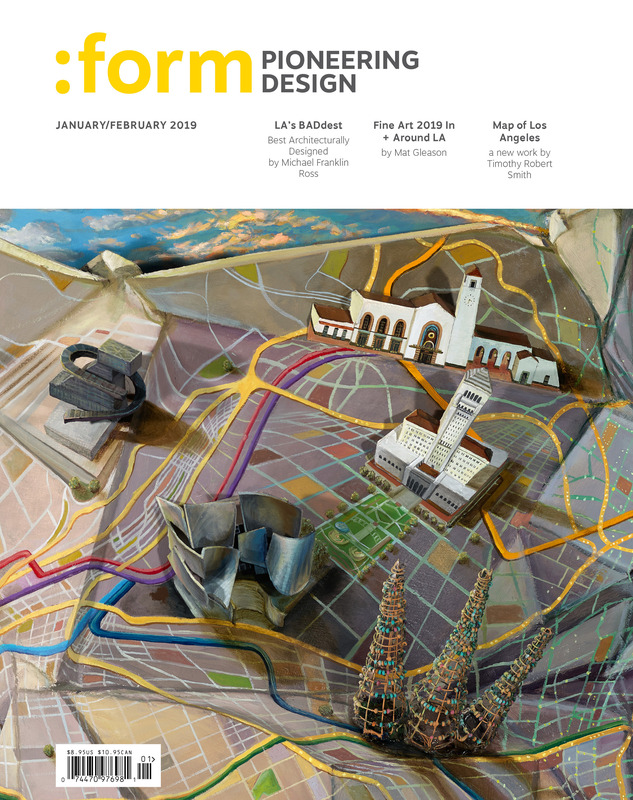 We recently just sent the next issue to press and it will hit shelves in early December. The issue’s theme is the future is now. We believe that if you’re not here, you’re already late. It’s happening all around us and I think the future of cannabis is happening right now, this year in 2019. 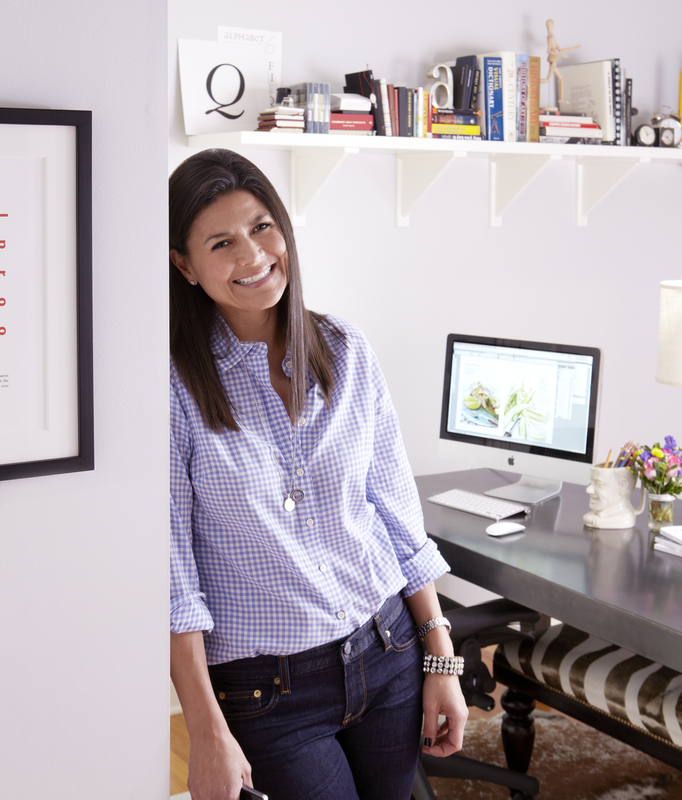 Joline Rivera: First, I’m not a drinker, I’d probably be sitting at the kitchen table with my laptop, talking creative with my significant other who’s also part of our Kitchen Toke team…I have a creative button that never seems to turn off, tidying up emails for the next day, always thinking ahead, and scrolling Instagram to make sure I keep up with new things and new followers. I’ve made a lot of Kitchen Toke friends on Instagram. Joline Rivera: That I was creative. That I was always looking for the opportunity to do something beyond creative. I’ve always said that I can make a pretty magazine anytime, but if I can make a magazine that’s pretty and can also help people…I would like to look at myself in the mirror at the end of the day and think that I did something better than just create something beautiful. I also believe that as we legalize cannabis, we have a social responsibility to pay attention to the things that have happened because of this drug. I think as Illinois or any other state begins to legalize, we have a responsibility to pay attention to what has happened to people of color as a result of having cannabis that white people get to do with impunity. And if I don’t pay attention to that, I’m no better than any other corporate giant coming into the industry just to make money. The social awareness is very important to me, especially in Chicago, people on the Southside and west side of Chicago have suffered terribly and been punished for having a dime bag of cannabis. And they’re still in jail. To be honest with you, I think that if there was more political courage in Chicago that would have happened by now. And throughout the entire country. There are many reasons to legalize marijuana, people need it medically, they do. I think we have a social responsibility that we cannot ignore. We have to stop putting people of color in jail for something that white people are doing with impunity. Joline Rivera: I think about how I can get more people to know about Kitchen Toke. In a world where the laws are such that we cannot advertise, we can’t have a Facebook account, they closed down our social media accounts on Instagram here and there. If you say the wrong hashtag – you just have to be really careful. In a world that doesn’t let you really advertise a cannabis product, I think the biggest challenge and the most creative people are going to come out on top. Right now, it’s going to be really interesting to see how people can advertise their product. You are currently browsing the archives for the New Launches category.